Marc Miller will complete Riley Motorsports’ driver lineup in the 24 Hours of Le Mans, the team confirmed Thursday after receiving its confirmed entry for the French endurance classic. The Continental Tire SportsCar Challenge standout, who is rated Bronze by the FIA, will join Jeroen Bleekemolen and Silver-rated Ben Keating in the No. 53 Dodge Viper GTS-R, which will compete for top honors in the GTE-Am class. “I met Bill [Riley] long ago racing shifter karts and was quickly drawn to his personality and work ethic,” Miller said. 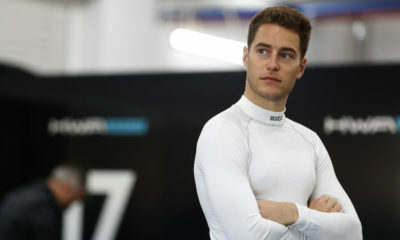 “Even the consideration of being a part of such a strong Le Mans effort I would humbly consider as a career highlight. “When you start adding up all the variables and look at the team, the drivers involved and the strength of the car, it really does become a movie dream sequence for me. The American effort was granted an official entry Thursday after being first on the reserve list since its release in February. It will mark the Viper’s return to Circuit de la Sarthe for the first time since 2013 when Riley ran SRT’s two-car factory program in GTE-Pro. “To go to Le Mans with Ben Keating and ViperExchange.com with a Viper is really quite an honor,” Bill Riley said. “Everybody that has touched this program over the years is so pumped up for us. Keating added: “There are a bunch of great bronze-rated drivers, but we believe Marc will do really well for us. He had a great test in the GT3-R with us and adapted to the car very quickly. “Plus, Marc is a great guy to be around and we believe we have a great team of drivers, which is critical. Because of the structure of the racing at Le Mans, every driver is key.